New Laduree Key Chain, Marquise, 2015 Limited Model is released yesterday and today we stocked some of the limited key chains. Like other Laduree key chains, macaroon, Eiffel tower are accessory although, pompon, notable feature of the limited key chain is accessory. 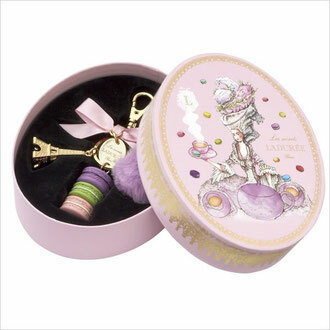 As you see, design on box is also quite distinguished from other Laduree key chains. Please click a picture to view the new limited Laduree key chain.